The Berg Motion Case, widely used in retail applications, has been updated and improved for even better service and security than previously available. Anti-lift rear sliding doors prevent removal when in the locked position. Fully captured top glass adds to the security of the case. The Motion Case provides maximum display space and the perfect means to show off and admire your unique collections. Always in view and available to share with others, your items are readily accessible but protected and safe from mishandling. 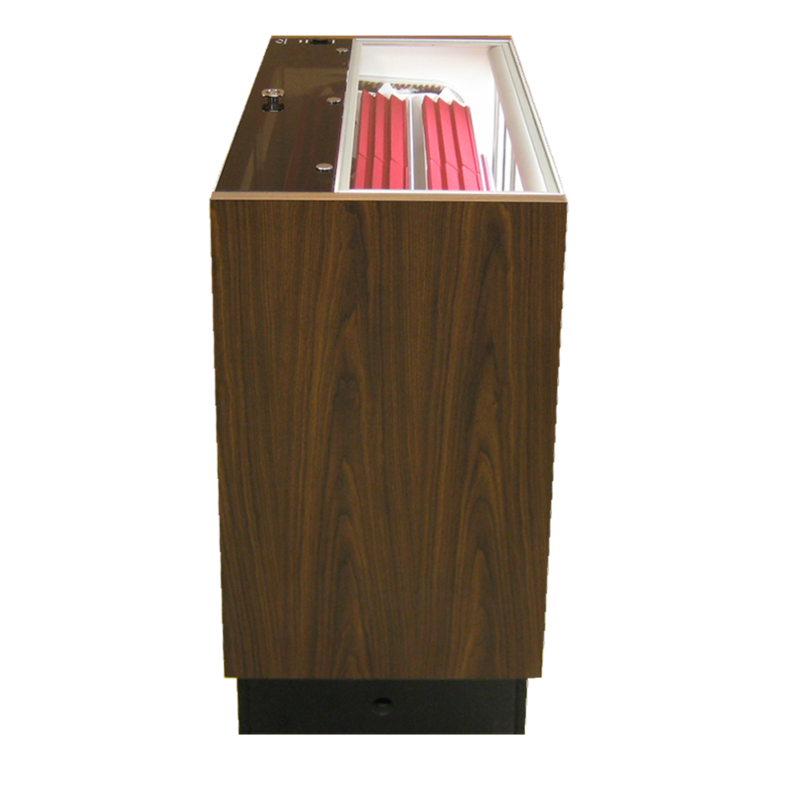 For convenience a main power switch accessible from the front of the case is available as an option. This is recommended when the case is placed with the back against a wall. Case: length 36"; depth 20"; height 38" or 40"
Note: Case length is nominal - actual outside dimension - 36-3/8"
Ready to order? Learn about pricing information.